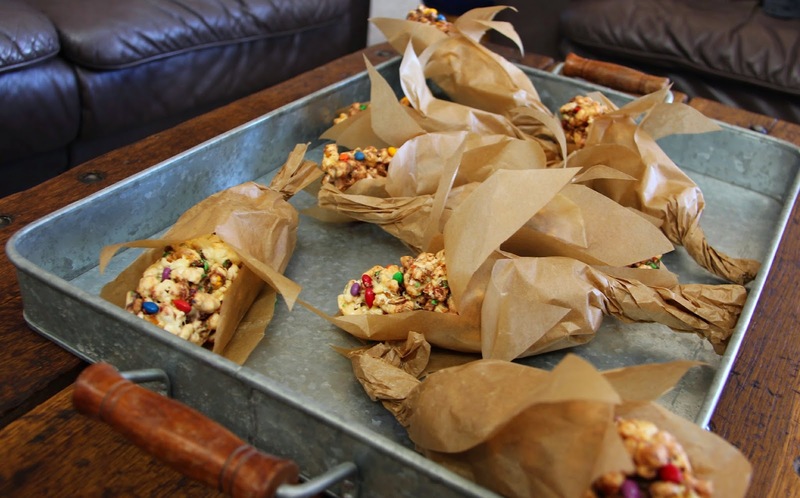 Moore Minutes: Indian Popcorn Ball Corn Husks, Wishbone Charms, and other Thanksgiving preparation ideas! 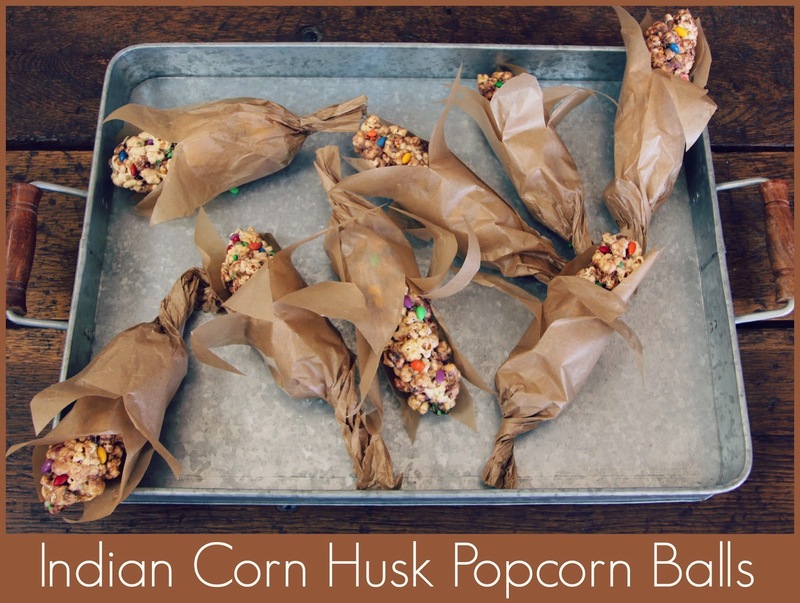 Indian Popcorn Ball Corn Husks, Wishbone Charms, and other Thanksgiving preparation ideas! It's Happy EVERYTHING Day around here! 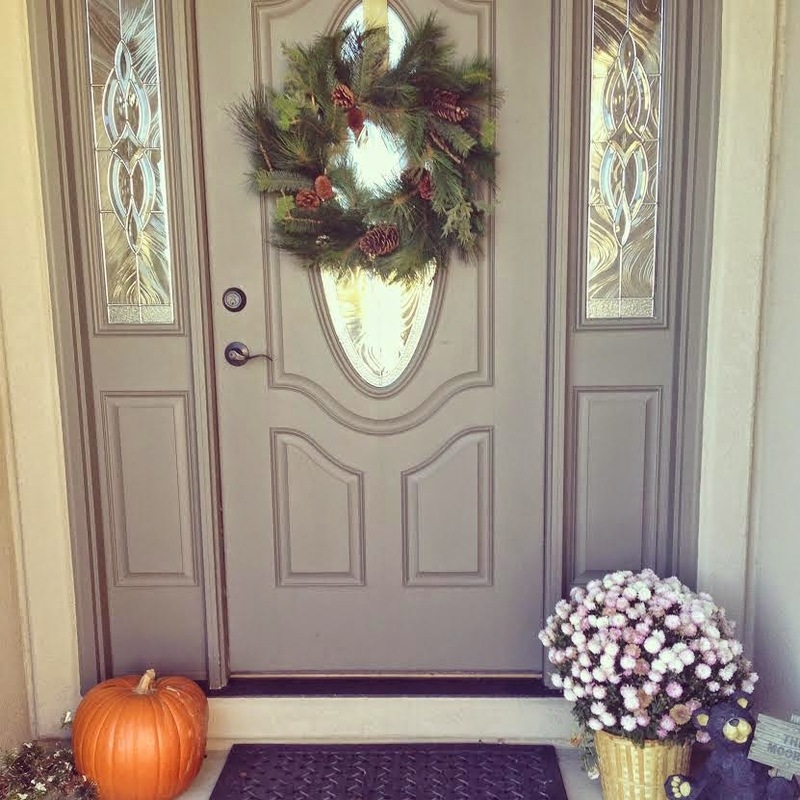 We started our Christmas decorating early for the first time ever, so it's a mix of holidays on our front porch. I'm a Thanksgiving girl. Well...actually, I am a Christmas girl, but I really do love this November Thanksgiving time too! 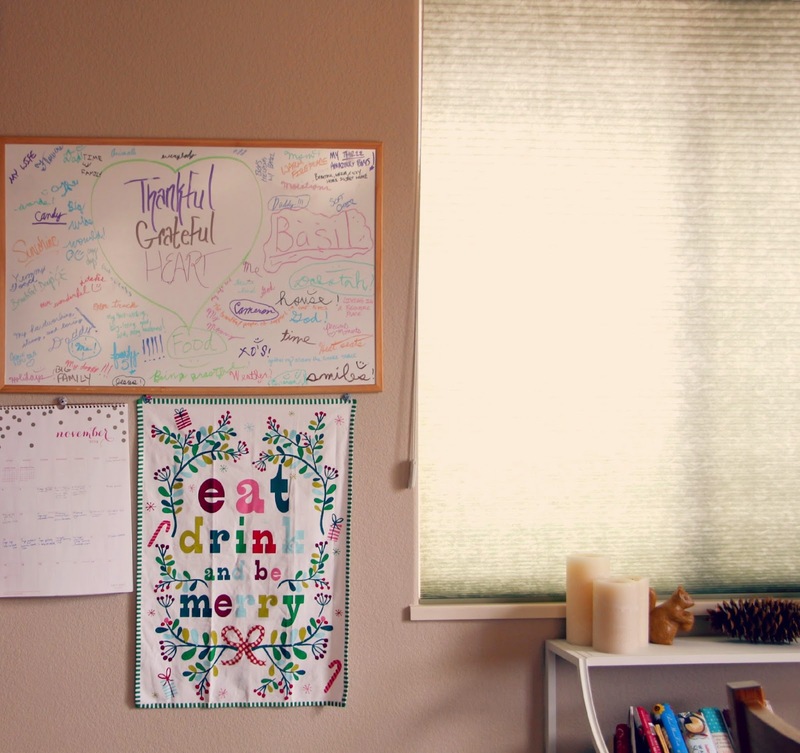 We had a colorful big THANKFUL white board up during the season. 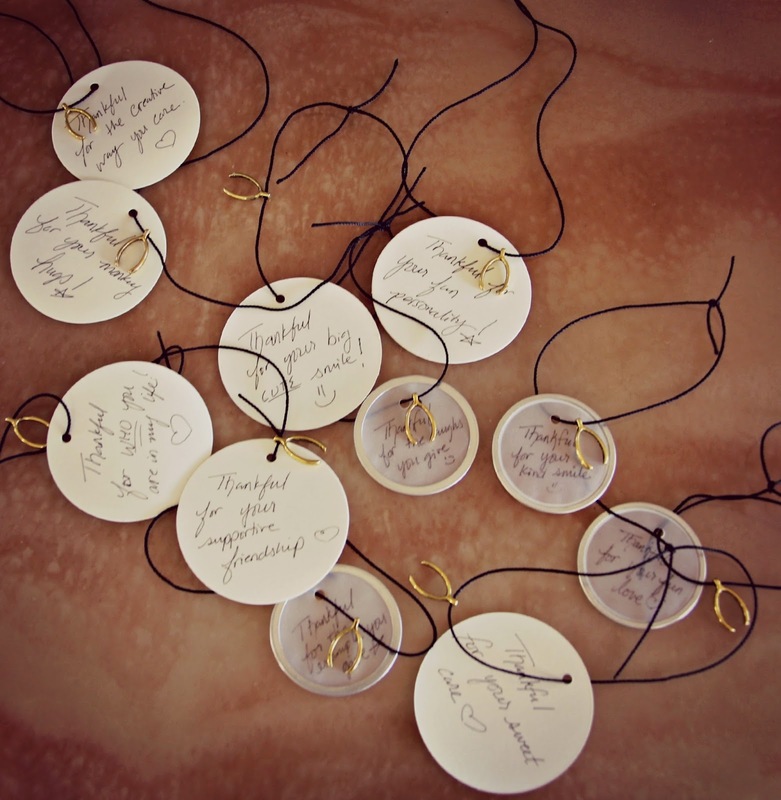 Every time we passed by, we grabbed a marker and wrote something we were grateful for. We will be celebrating with family at my Grandparent's house this year. I can't wait! 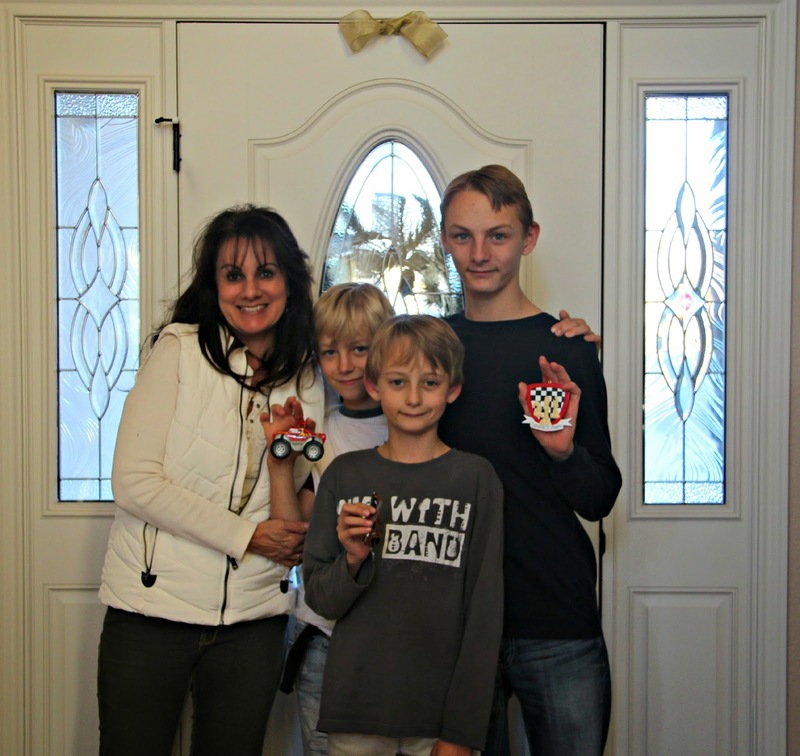 Before we left for Arizona, my mom stopped over and surprised the boys by taking them to get personalized tree ornaments! She is carrying on a special tradition for them. Thank you Mom for highlighting their lives! It's time to get busy with holiday preparations. 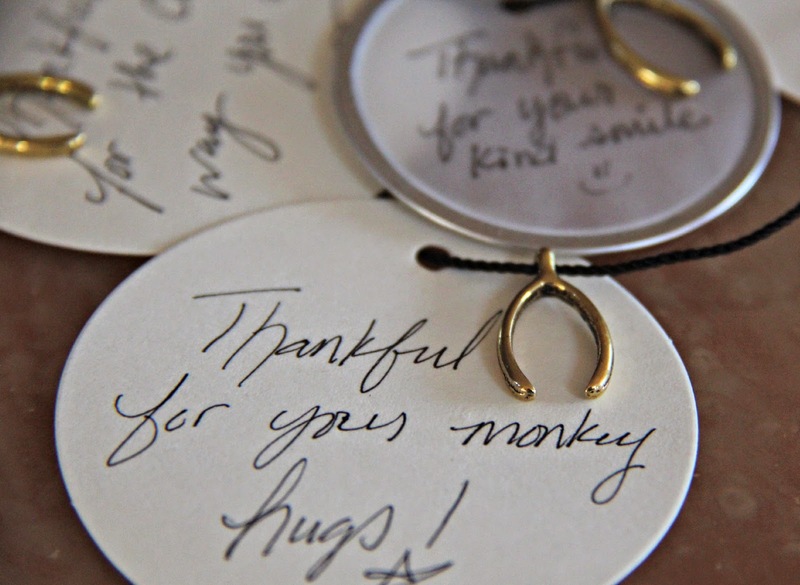 And making little wishbone thankful charms for every seat at the dinner table. 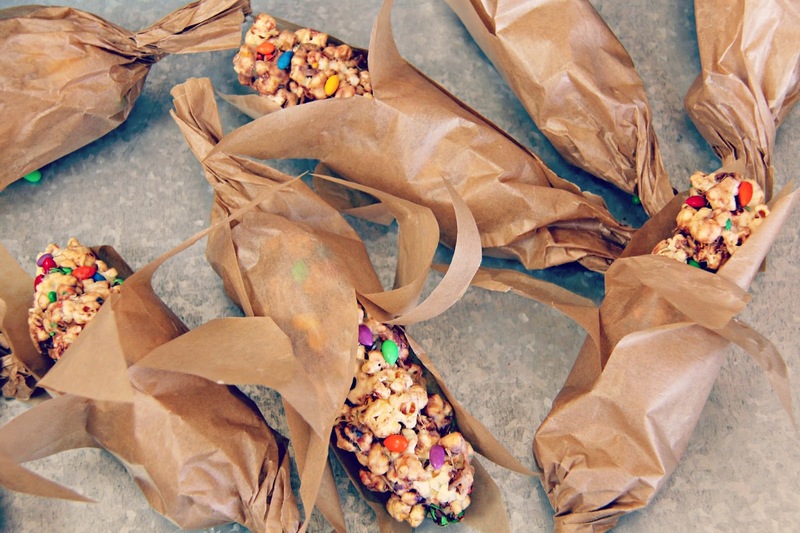 I am most excited about preparing these fun treats for the kids! Leave it to Martha. 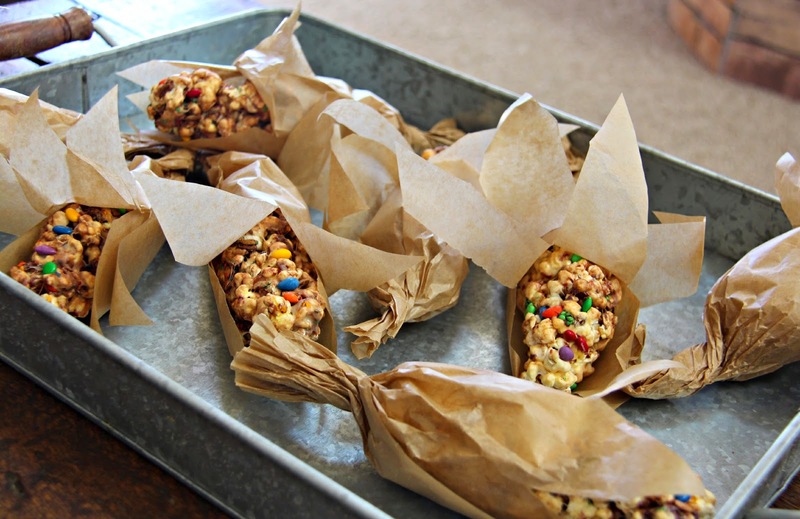 I found this idea in Martha Stewart Living magazine. 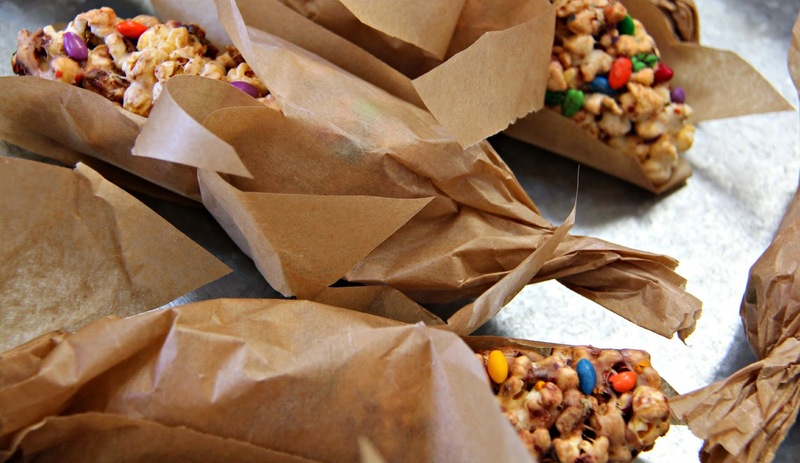 Make popcorn balls, form them into corn on the cob shapes, wrap with parchment paper for corn husks, the end! Here is a video tutorial that shows you everything you need to know. Cooking, cutting, stirring, folding, mixing, making! 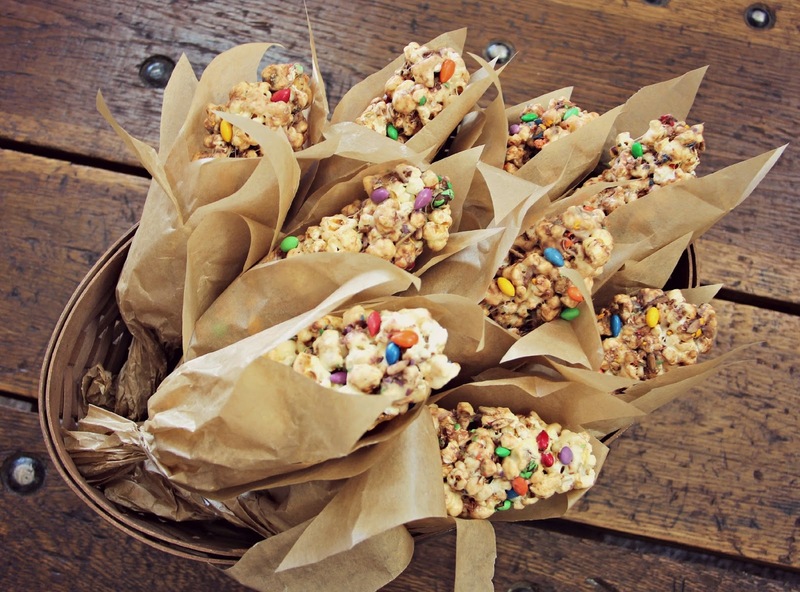 Stir in candy-coated sunflower seeds to look like indian corn. Ready to pack for our Thanksgiving feast! 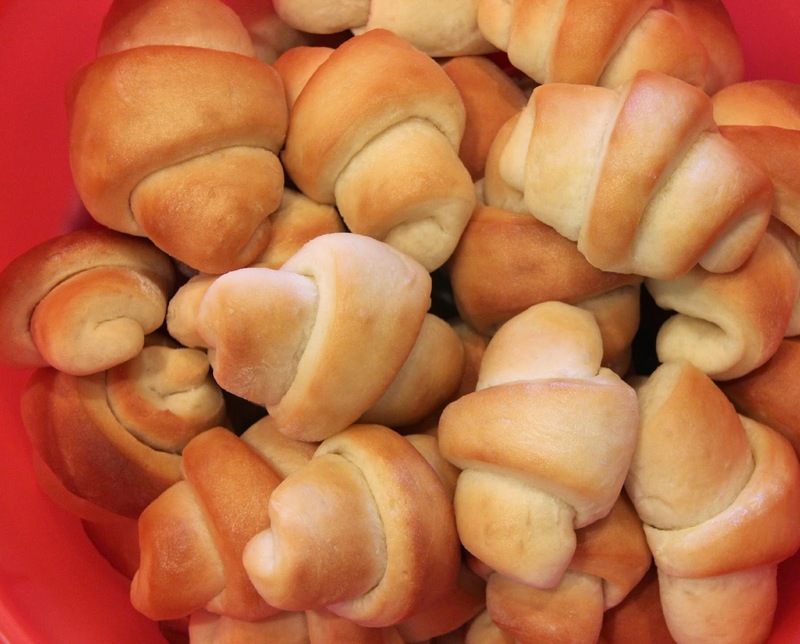 These will be perfect for the KID'S TABLE. 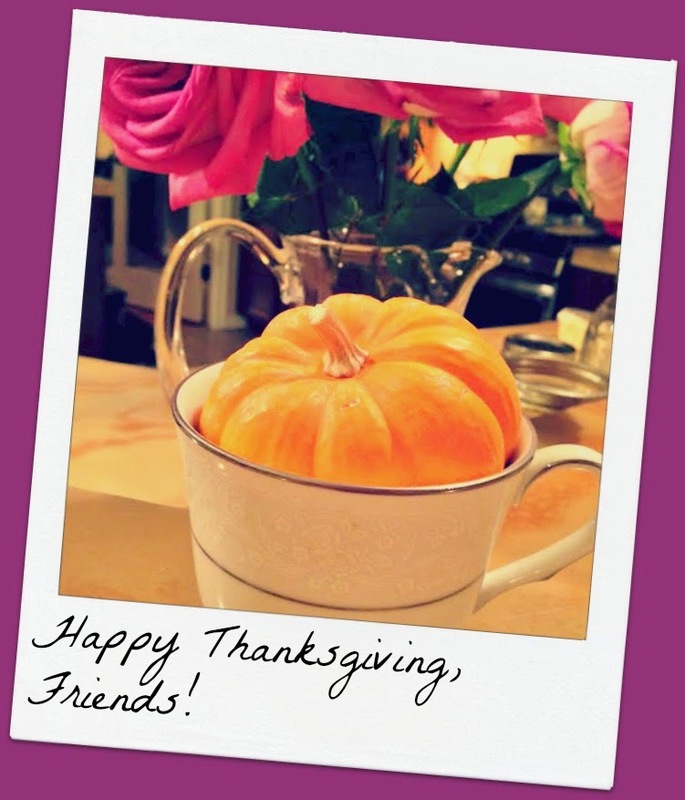 A BIG "All Things Thanksgiving" blog post including: a resource of menu varieties for a healthy, traditional, or gourmet Thanksgiving menu. A variety of table settings, and more! 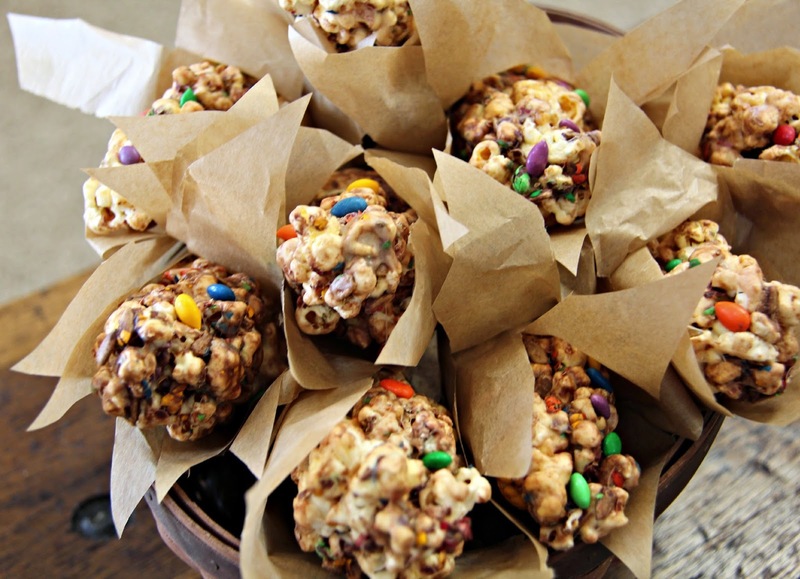 I don't even like popcorn balls but these are absolutely adorable. Of course - Martha! 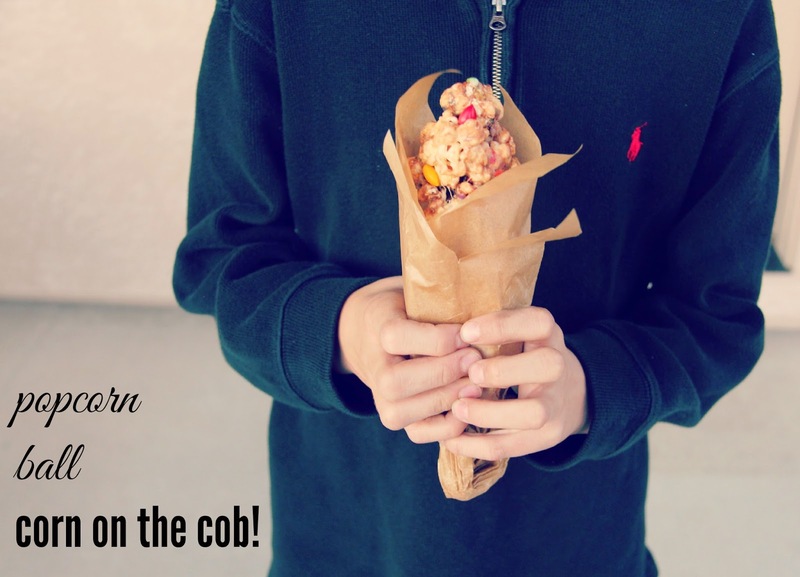 Those corn husk popcorn balls are my favorite!!! 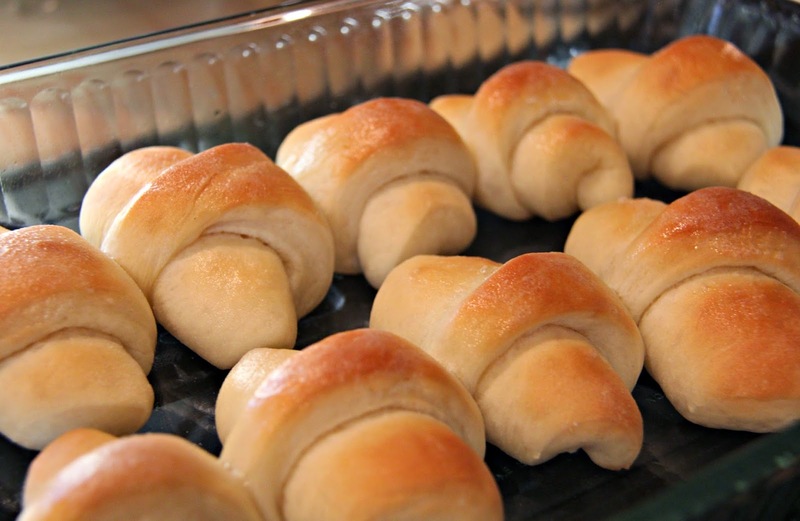 I also want those rolls they look so good and perfect! Ohhhh and I loved reading the thankful board that everyone wrote on... That was cute! !